Are you searching for the best lemon meringue pie recipe? 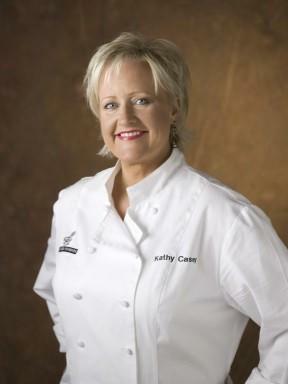 Celebrity Chef, Mixologist and Author Kathy Casey, President of Kathy Casey Food Studios - Liquid Kitchen, shares her expertise about what makes this special dessert taste so great, along with her favorite recipe for this tasty dish! What do you consider are the five most important factors in creating the best lemon meringue pie? Using freshly juiced lemons - big juicy ones, organic if you can get them. There is nothing like the tangy flavor of freshly squeezed lemon juice! Adding lemon zest - fresh lemon zest adds another lemon zesty flavor dimension to the pie filling. Be sure to only use the yellow part. The white part is pithy tasting...and nobody likes a pithy tasting pie! I like to use an old school recipe that uses both eggs and cornstarch to thicken the filling - this makes for a nicely sliceable pie. Having a great flaky crust. If you're inclined to indulge...hey why not use some butter or lard? Making the perfect meringue - one that is not over whipped (dry meringue) but just right - fluffy and delicious! Also be sure to spread out all the way to the edge of the pie so that the meringue does not "shrink" back from the crust. And then of course … browning it just enough! What do you think separates terrific lemon meringue pies from ones that are just okay? A great lemon meringue pie, in my opinion, is not too sweet - it has a perfect balance of sweet and tangy. Its filling is thickened to perfection, is high and cuts well and is laid in a homemade flakey well cooked crust and topped with a billowing mountain of fluffy perfectly peaked and browned meringue! There is nothing like it! Do you have a favorite lemon meringue pie recipe to share with readers? I never asked for cake for my birthday when I was little - I always asked for lemon meringue pie! I wrote an article once that had favorite recipes from chef's mothers, so I used my Mom's Lemon Meringue Pie and added raspberries to top the filling and some toasted hazelnuts to the crust - which are other favorite foods of mine and add a nice flavor twist to this American classic. Mix the flour, hazelnuts, salt and sugar together in a large bowl. Add lard or shortening and butter and, with a pastry blender or clean hands, combine until mixture forms pea-sized particles. Add 1 tablespoon of the ice water. Stir the dry mixture with a fork, mixing until liquid is just incorporated. If dough is too dry, then add more water, 1 to 2 teaspoons at a time. Form dough into a ball and flatten out slightly to a big disk, fold over each side into the middle, so there are 3 layers. Wrap in plastic wrap. Chill in refrigerator for 20 minutes. After dough has chilled, press the portion into a flat round disk. On a lightly floured surface roll out dough into a 1/8-inch-thick circle that is about 1 inch larger all around than a 9-inch pie pan. Place crust in pie pan and crimp the edges. Prick crust all over with a fork to prevent puffing while baking. (If pastry puffs, carefully reach in oven and prick pastry again where puffing.) Bake for about 8 - 10 minutes until golden brown then remove from oven and cool. Reduce oven temperature to 400 degrees. In a heavy saucepan whisk together 1 cup of the sugar, cornstarch, water and lemon juice until well combined and cornstarch is dissolved. Place over medium heat and stir constantly until mixture is thickened and lightly simmering. Mix together the egg yolks in a small bowl with a little of the hot mixture to temper the eggs, and whisk quickly into the simmering mixture. Cook about 1 more minute, stirring constantly, until totally thickened. Remove from heat and whisk in lemon zest and butter. Cool, stirring often. When filling has cooled slightly, pour into the cooked pie shell and arrange raspberries on the top. Make meringue by whipping the 4 reserved egg whites with cream of tartar in a mixer on medium high speed until frothy. Gradually beat in the remaining 1/2 cup of sugar, a little at a time with mixer on high. Continue beating until stiff and glossy but not dry. Pile meringue on pie, sealing meringue onto edge of crust to prevent shrinking of the meringue. Any tips for where to find the best "store bought" or restaurant lemon meringue pies for readers who aren't ready to try making their own? So far I have never found a purchased lemon meringue pie that I have liked - they are typically filled with florescent, flakey, too-sweet filling and restaurants always try to get too fancy and usually do a lemon curd type filling - which can be very tasty -- but not the same. I still prefer the old-fashioned classic filling. But I am sure there are some great "old school" pie makers out there in diners, restaurants or bakeries somewhere! Why do you think lemon meringue pie is such a popular dessert choice for family dinners and special occasions? I know it might sound crazy, but there are those who are not chocolate maniacs. I fully admit I am one of them - give me a tart lemon pie any day over chocolate cake or pie! I also think that Lemon Meringue Pie's poufy meringue adds a festive flair to pie. It also just resonates good old American comfort food - and we could all use a little of that these days! LoveToKnow Best would like to thank expert chef Kathy Casey for taking the time from her busy schedule to share her best lemon meringue pie recipe with readers. 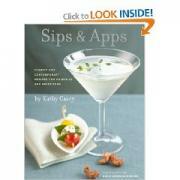 For more great recipes from Kathy - including her terrific Lemon Meringue Puff cocktail that tastes just like the pie it's named after - see her book Sips and Apps, which is packed with delicious and unique recipes for starters and beverages.